A pontoon (or floating dock) is a floating platform that can be used to dock water craft. They are usually joined to the shore with a ramp that rests upon the dock on rollers, to adjust for the vertical movement of the dock. The dock is usually held in place by vertical poles embedded in the soil under the water or by anchored cables. 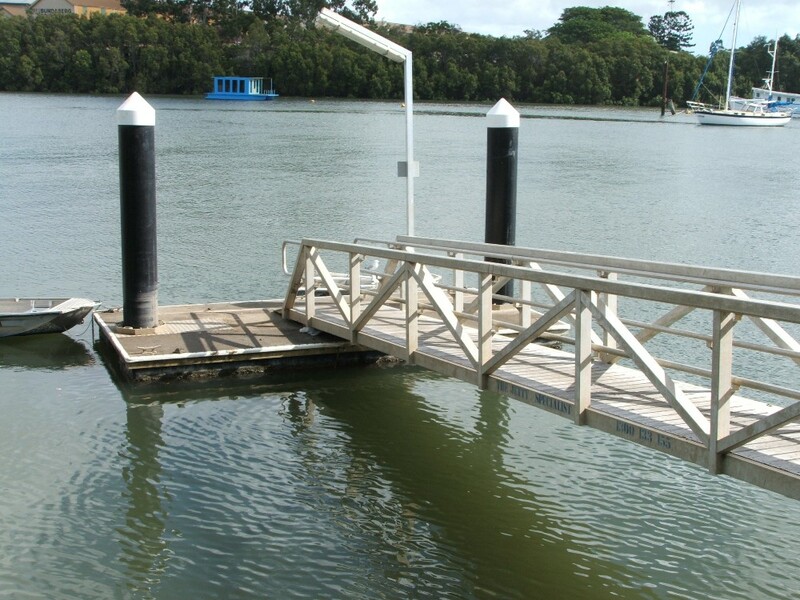 In Queensland the Asset Management Advancement Program identifies pontoons as one of a number of "depreciating assets of significant value with long estimated useful lives" that need to be incorporated into Asset Management Plans.